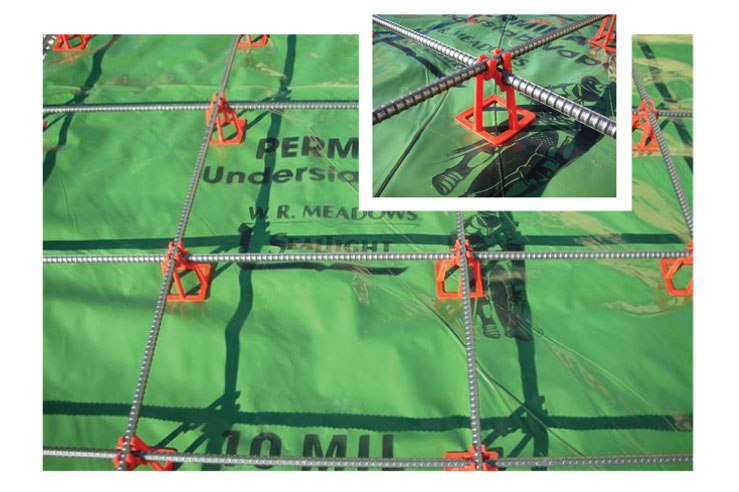 The patented Hercules Chair is the perfect support for projects that require an underslab vapor barrier . The design of the Hercules Chair includes bottom rounded edges with flexible corners to minimize the puncturing of the vapor barrier mat. The Hercules Chair is now being written into plans and specifications throughout the U.S. in commercial applications requiring vapor barrier mat. Check with your local concrete supply store to purchase the Hercules Chair.